Warm and cozy soft plush microfleece pajama pants. 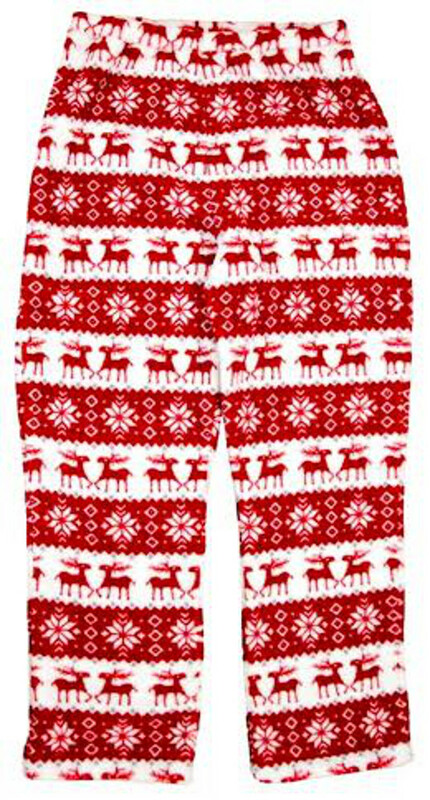 Your little girl will enjoy the winter nights in these red and white Holiday print fleece pants. These are the soft fluffy cozy plush microfleece style that all the young girls love! Not the plain flat fleece. Machine wash.